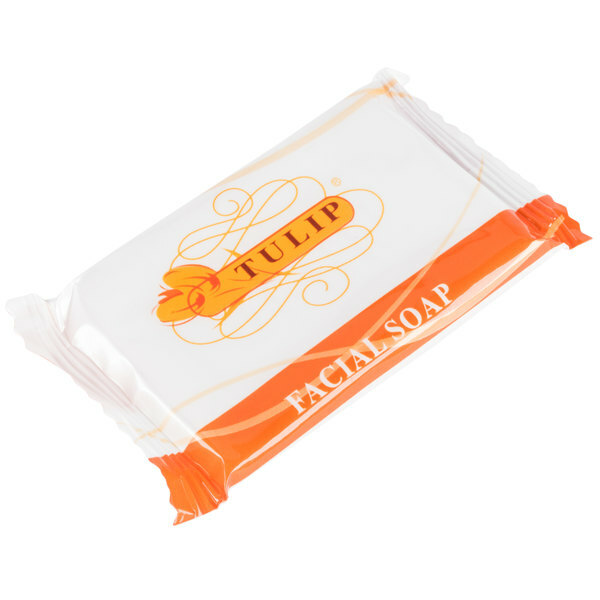 Treat your guests to a refreshing, invigorating clean feeling with the Tulip 0.5 oz. 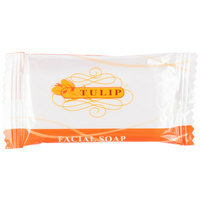 hotel and motel facial soap! This Tulip 0.5 oz. 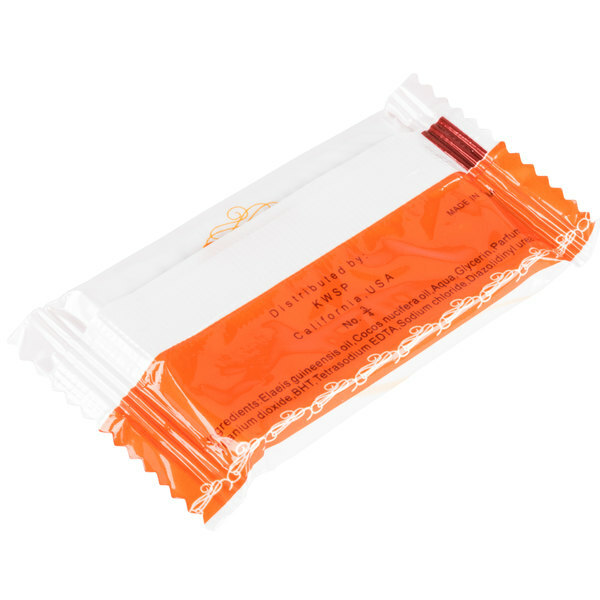 hotel and motel facial soap comes individually wrapped for in-room amenity service. Its fresh, clean scent makes it a favorite among guests, while the perfectly-portioned size minimizes waste while providing ample product for overnight stays. This soap is both gentle and mild for even the most delicate of skin, making it the perfect solution for everyday facial cleansing. 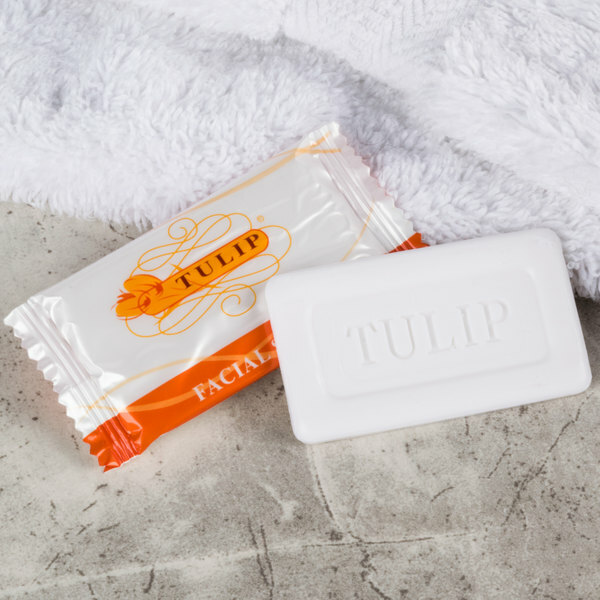 "WOW tulip and Motel wrapped,bath soap, are juet the right size andsmall nice you will love them will order again thank you so much webstaurant." This Tulip 0.5 oz. 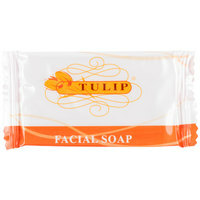 hotel and motel facial soap comes individually wrapped for sanitary amenity service. 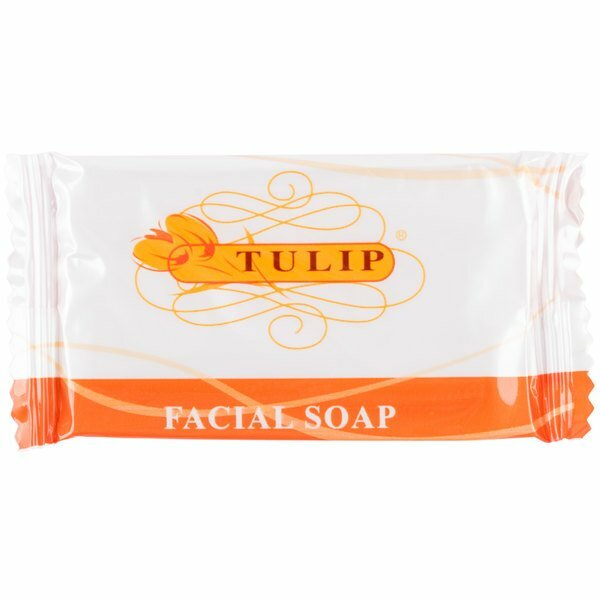 Your guests will feel confident in the quality of this soap, while appreciating the fact that it is individually wrapped for hygienic use. 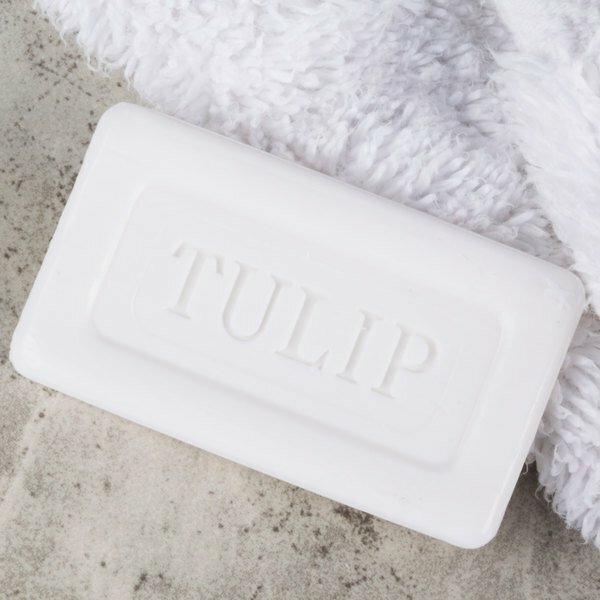 When placed on amenity trays in your hotel or motel rooms, this soap ensures a professional presentation, too, with a colorful package that's simple, too. The 0.5 oz. 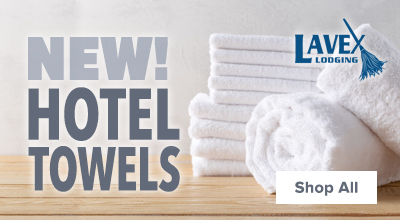 size is ideal for overnight stays. 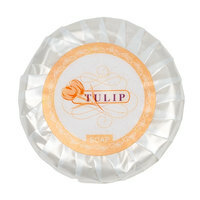 WOW tulip and Motel wrapped,bath soap, are juet the right size andsmall nice you will love them will order again thank you so much webstaurant. Save Up To $8.01 with our Recommended Product! 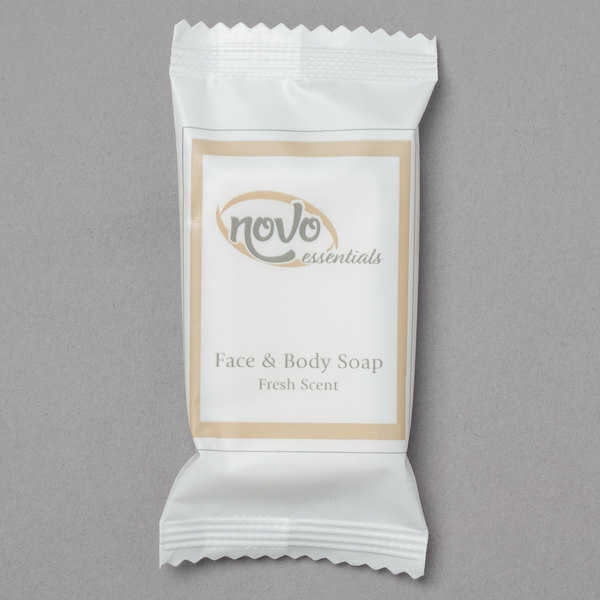 Check out the Novo Essentials 0.5 oz. hotel and motel wrapped face & body soap bar instead! 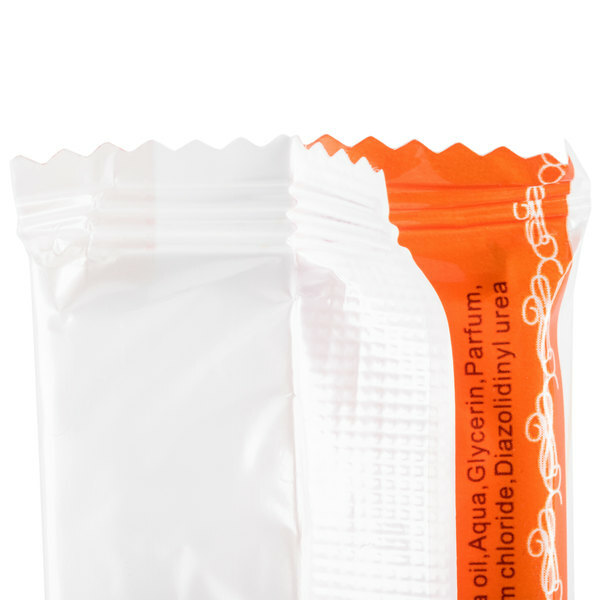 Its special formula gently cleanses the face or body, moisturizing the skin with a touch of cocoa oil. Traveling can be exhausting and hard on the body, and this soap is a great way to help guests wind down after a long, exciting day. This is a great alternative since your selection has been discontinued.